This is a newly renovated, 3 bedroom/2.5 bath house in the Auburndale section of Newton, MA. Each bedroom has a queen sized bed, so the house can sleep 6. There is a separate dining room with a table for 6, a fully stocked kitchen, and a large family room with TV and plenty of seating. There is also a playroom off of the living room that is setup for kids to play video games. All three bedrooms are on the second floor. The master has a brand new bathroom and there is a second, bathroom (with tub), for use by the other two bedrooms. Full sized washer and dryer are also on the second floor. The house has one zone of heat and two zones of central air conditioning. Hi speed wifi is available throughout the house. In addition to local channels, you can stream Hulu, Netflix, Amazon, HBO, Showtime, etc. There is a large patio on the side of the house, which includes seating for six as well as a grill. The location of the house makes it easy to get into Boston. The Auburndale commuter train stop is less than a 5 minute walk from the house. These trains are scheduled, and take 30 minutes to get into Boston (Back Bay or South Station). The Riverside MBTA station is a 15 minute walk and from there you can catch the Green Line into the City, or Fenway Park. Entrances to the Mass Pike and I95 are within a 5 minute drive. You get all this convenience, yet the house is on a beautiful, quiet Newton street. The house comes with high end linens, towels and mattresses - you will find your stay incredibly comfortable. I live about 15 minutes from the house, so if you ever need anything, it is easy for me help out. This is the third property I have listed. My retirement was short-lived as I now spend a lot of time as a host. Before becoming a host, I used to rent properties for my family to stay at - it was cheaper and more convenient than hotels. From that experience, I know what guests expect when renting a home and I do my best to meet those expectations. I hope I get a chance to meet you. New oven and dishwasher. Fully stocked with plates, cutlery, pots, pans, Keurig coffemaker, blender, handmixer, etc. Very comfortable....plenty of room...well equipped kitchen And close to the rail. The home was absolutely perfect for our family. Being within walking distance of a grocery store and restaurants was great. All of the little details and upgrades within the home were especially appreciated. 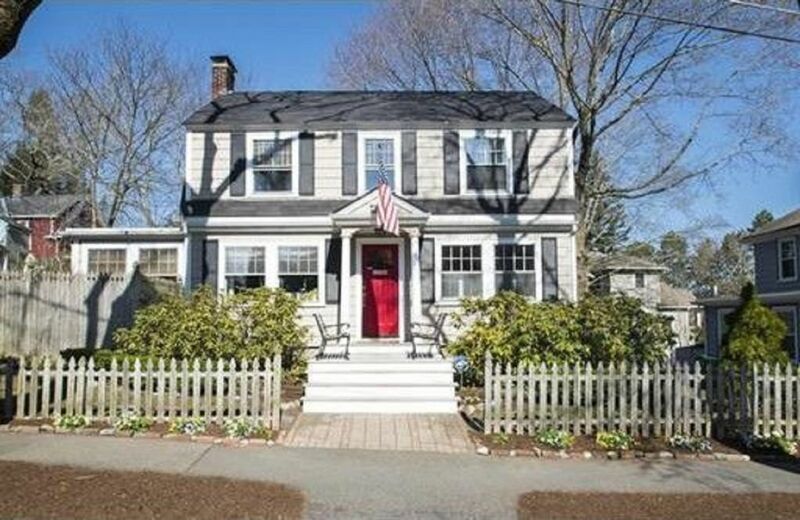 We would highly recommend this home to anyone visiting Boston and the surrounding area. Sandy, thank you so much for the kind review. It was a pleasure hosting you and your family. I am glad you had a good time in boston. We loved staying at the house. We enjoyed staying at this house. It was very clean and comfortable. Steve was a wonderful help with our questions. It is in a nice neighborhood and within walking distance of the train and T. We would recommend staying here. Maegan, I am so glad that you and your family had a good stay in Boston. It was a pleasure to meet you and I hope you will return another time. Thank you for taking such good care of the house. Wonderful house. Located near everything we needed. My family and I had a great time. Steve was very helpful and easy to reach if needed. Thanks! Worked out perfectly for us - 4 adults and 2 young children. Very clean. All amenities, updated kitchen, outdoor patio with gas grill and picnic table. Very accommodating owner, who is renovating and adding on to this house (not a problem to our comfort, though). Had new crib for baby. Close to public transportation. Especially comfortable beds, with great bed linens and towels. Enjoyed our stay very much.